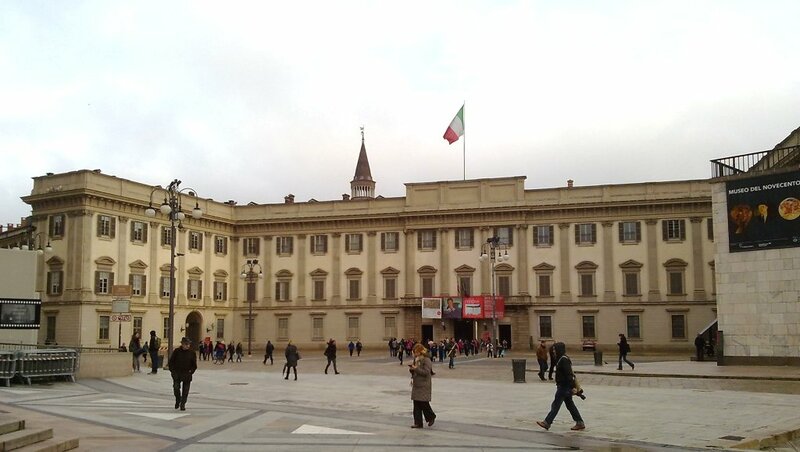 What used to be the Royal Palace is one of the most beautiful architectures of the Milanese 18th century. The original building which stood here had been the home of the Visconti and of the Sforza families and, later, residence of the Spanish and of the Austrian governors. During the last period of Austrian role, architect Giuseppe Piermarini - the same who designed La Scala - transformed it in 1771-78, giving it the appearance it still has today. The Palazzo Reale was hit by bombs during World War Two and lost its splendid neoclassical interiors. Only the most beautiful of its halls, the Sala delle Cariatidi, survives in its half demolished state so that it may serve as a grave reminder against the ravages of war. This hall is often included in the great exhibitions that are set up in the palazzo, and its effect is indeed striking. Up the great staircase that takes you to the first floor, turn left to admire the results of restoration executed with passionate dedication. Three rooms are part of a comprehensive project which will see the palace's interiors return to the splendour of their original 18th- and 19th-century décor. Scattered furnishings and Gobelins have been tracked down, stuccos and ceilings restored, finishings and trims revealed. Pièce de résistance is a beautifully crafted 1804 centerpiece made of marble, onyx, semiprecious stones and gilded bronze. It's a miniature - meters long - of a Roman hippodrome, with temples, columns, statues. Since 1984 the palazzo has hosted the Cimac, the City Council's Contemporary Art Museum. It has been extensively renovated and reopened on December 6, 2010 as the Museo del Novecento. .:. 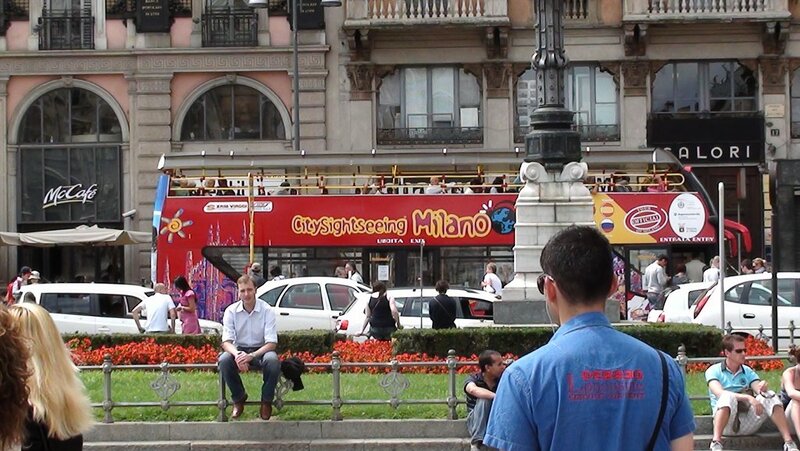 CiaoMilano was conceived and is edited by KIWI, Milano. It is licensed under a Creative Commons Attribution-Share Alike 2.5 Italy License.
.:.Monica Levy, who created this website in 1997, is no longer with us. Her smile is behind this word. Double-deckers? A visit to the San Siro stadium? The Last Supper, otherwise difficult to book? You can reserve a bus or a specialized tour through our partner Viator.